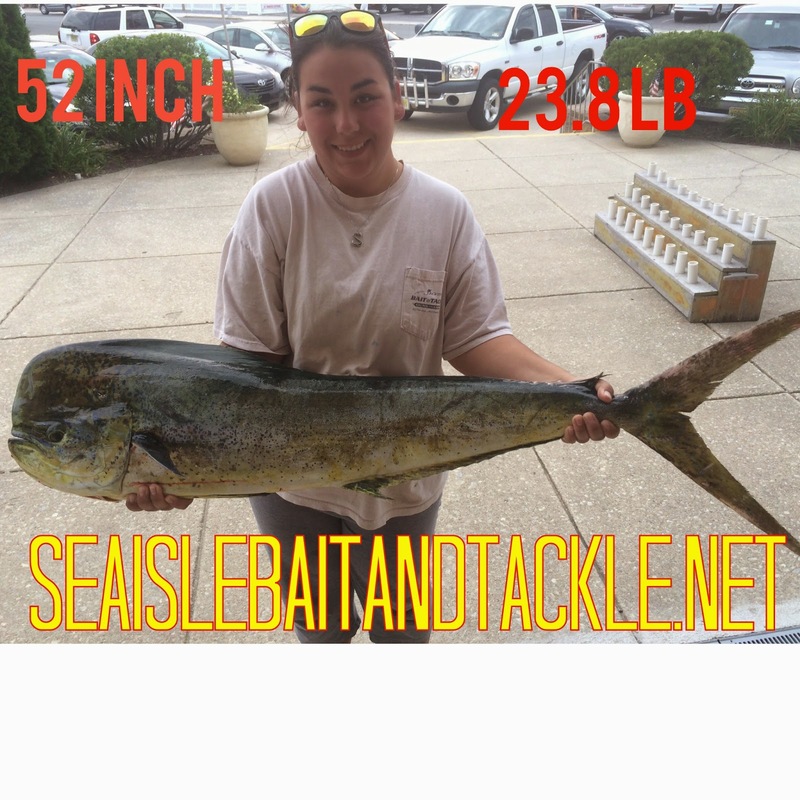 Antoinette C from Sea Isle City fishing with her Dad Al and had a great trip with some tuna Marlin and this Big Mahi-Mahi it was 23.8 pounds and 52 inches long. The off shore reports have been excellent lately with Mahi’s as close as 15 miles and tuna as close as 25 miles. The weather looks great this weekend to get out there and get your self a big fish.